Are you offering online ordering? ​schedule an appointment for a live demo here. Monetize your restaurant’s online presence – take online food orders now using any website or even your Facebook business page with a simple 3-step ordering process! No extra fluff for your customers such as setting up accounts and remembering passwords.They are hungry NOW and you need the process to be SIMPLE!  With the Sky High Social Online Menu App, you will increase your revenue while making it easier for your customers to order the food they love from your restaurant. With your system, we include a simple to use smartphone/tablet app for processing orders at your location. You will get real-time order details, designate delivery times, send order as SMS, print order via SMS/print order via thermal printer (requires configurations with compatible printer), and our top notch client support is provided via link in the app. Our system also supports multiple languages. We include a new custom tab on your Facebook page that loads the ordering page when clicked – your customer never leaves your Facebook page! There is also a "Smart Link" which you can use to post and/or use with your call to action button - this allows mobile users to effectively use your Facebook ordering platform as well. Designate your "heat map" or delivery area view-able either in map or satellite mode. Menu items with pricing, description, image, multiple sizes w add-on pricing, available only during specified hours, add-ons such as toppings/types etc. To maximize your sales, clients can “order for later” at any time, even when your restaurant is closed. Orders placed outside opening hours will queue up for acceptance. This way you have the chance to accept these pending orders as soon as your restaurant opens. 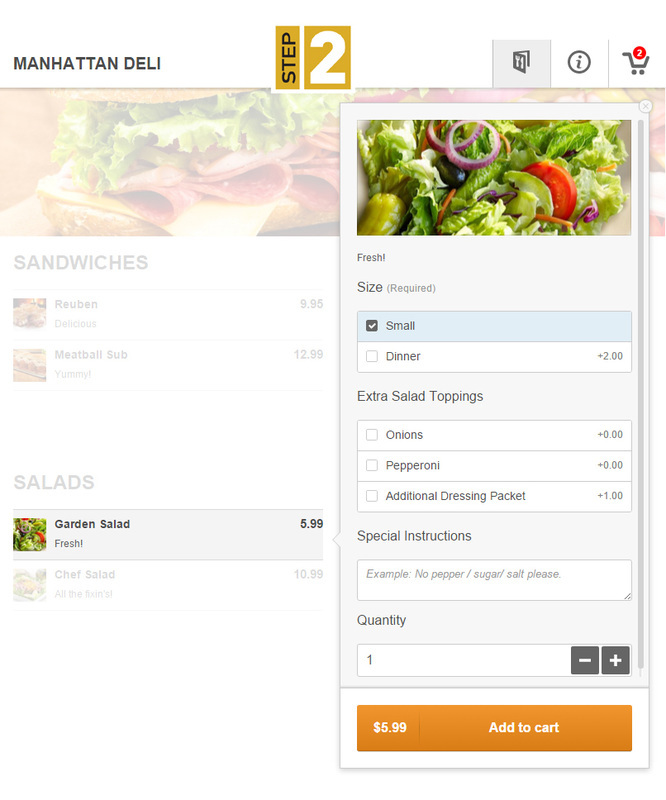 We include a custom Android/iOS app that notifies you when someone has placed an order. You will use it to process orders on the fly at your location. Receive order details, accept and complete orders and designate delivery time, send order as SMS, *print order via SMS/print order via thermal printer (requires configurations with compatible printer). We also provide client support via feedback link in the app. 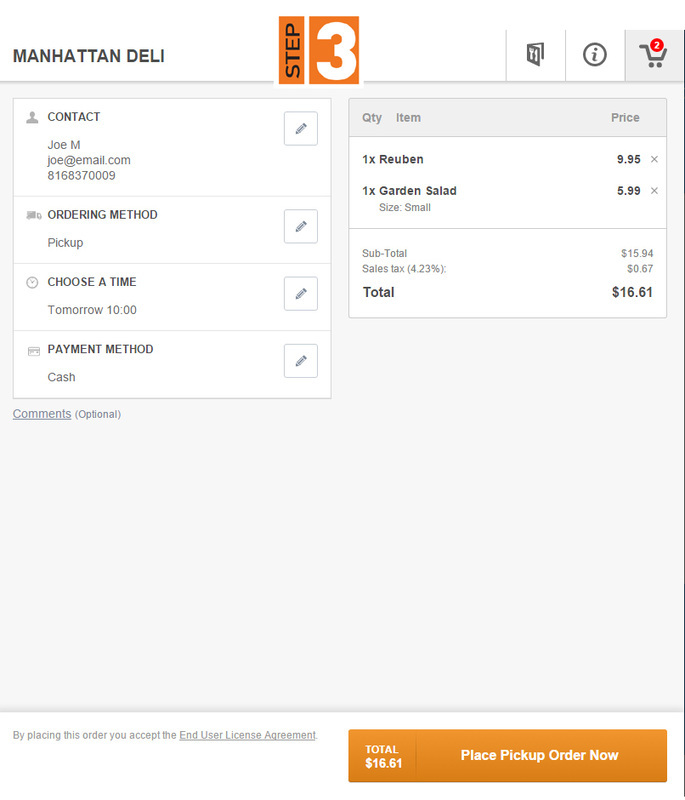 Quick Overview: Includes "Total Accepted Orders", "Orders Accepted In Last 7 Days", "Total Clients", "Clients In Last 7 Days"
Order Type: "Today", "Order for Later"
Payment Methods: "Cash", "Credit Card at delivery", "Online Payment", "Phone Credit Card"
* No matter how you do it, printing goes slow and is cumbersome. Time is money. Skip printing to save time and some trees. Accept the orders on the orders-taking tablet/smartphone then set the email client on a 2nd tablet to retrieve the order confirmation emails that are sent automatically by us for this other tablet/smartphone that sits in the kitchen... You can use the notifications options from the advanced settings tab of your restaurant account admin area to set the 2nd tablet/smartphone email client to receive your confirmed orders via email. From Facebook to online food orders with one click of a button! 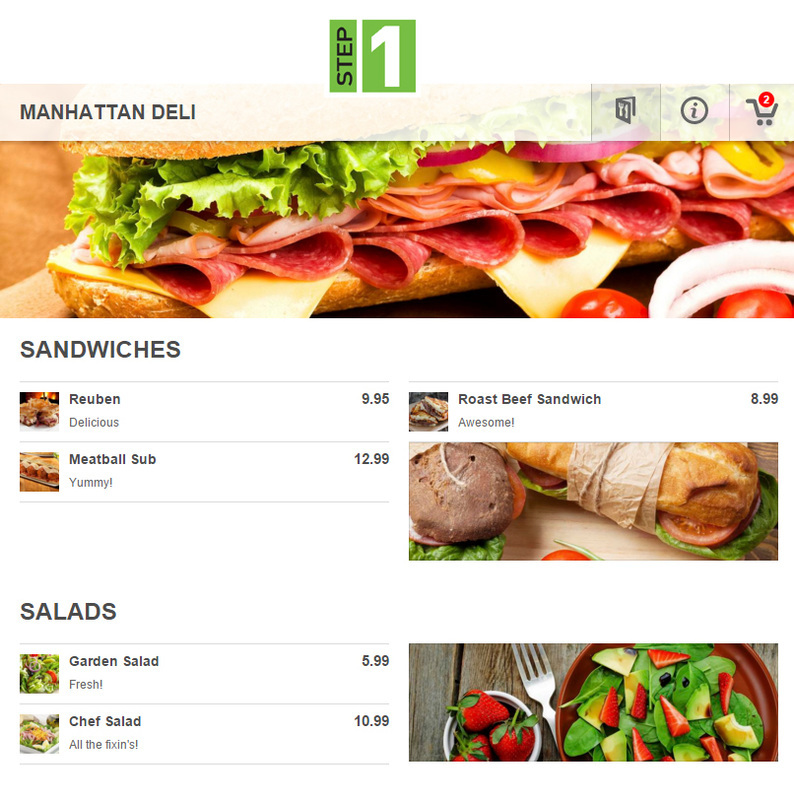 ​Our restaurant ordering system is also integrated into your existing Facebook Business page and is mobile optimized. Using our app, your hungry customers won’t have to leave your Facebook page to place an online order. Click to see a demo.